Firing trials of Russia's new Arctic Pantsir-SA surface-to-air missile (SAM) system will begin in June, a source in the Russian defence industry has told Jane's. "Two [Pantsir-SA] systems will be deployed at a test range for firing trials after their demonstration at the Victory Day 9 May parade in Moscow," the source said. The newest Pantsir-SA SAM system is designed to be used in the Arctic region. It is based on the chassis of the DT-30PM Vityaz (Noble Knight) upgraded twin-unit all-terrain tracked carrier (ATTC) that, with an average ground pressure of 0.27 kg/cm 2 , offers a high degree of mobility in harsh climatic conditions. The DT-30PM has a basic (empty) weight of 29 tonnes, a useful payload of 30 tonnes, a road speed of 37 km/h, a swimming speed of 4-5 km/h, and a cruising range of 500 km. The ATTC is powered by a diesel engine with a power output of 710 hp (522 kW). While the energy supply system and auxiliary equipment are integrated within the DT-30PM's front unit, the Pantsir-SA combat module is mounted on the rear unit and features an armament suite that is different to that of the basic Pantsir-S. The original system's two side-mounted 2A38 anti-aircraft cannons have been replaced by three additional containerised SAMs on each side of the target tracking radar. Thus, the system's ready-to-launch ammunition load has been increased from 12 to 18 missiles (nine missiles on each side). The location of the target detection station has remained the same, behind the missiles and the target tracking radar. The Russian armed forces will receive the Pantsir-SA SAM systems "at an early date", according to Lieutenant General Viktor Gumenniy, who as deputy commander of the Russian Aerospace Forces (VKS) is also commander of Russia's Air-Defence and Missile Defense Troops. Diehl Defence is evolving a fire on-the-move capability for the IRIS-T-SLS (Surface Launched Short Range) mobile air-defence interceptor system. IRIS-T-SLS uses an unaltered IRIS-T (Infra Red Imaging System - Tail/Thrust vector-controlled) air-to-air missile. The interceptor is fired vertically from a launcher mounted on an all-terrain vehicle - for a 360Â° short-range air defence (SHORAD) application - where the missile's infrared seeker will be able to lock-on-before as well as lock-on-after launch following target designation by the ground stationÂ´s battle management system. In the air-defence role, the IRIS-T-SLS system is currently designed to be fired from a static deployed all-terrain vehicle. Diehl cites the Unimog 5000 4x4 multi-purpose all-wheel drive medium truck in its marketing literature as its default IRIS-T-SLS launch platform, although the system is essentially platform 'agnostic', and can be adapted to country-specific transport and launcher vehicles with a variable frame system. Speaking at the IQPC Integrated Air and Missile Defence 2017 conference in London in late March Michael Masur, GBADS Head of Marketing, Diehl Defence told Jane's that the a new fire-on-the-move concept has already been finalised and that the company is now in the "realisation phase for this development." Masur said that the fire-on-the move concept envisages a single platform - manned by a crew of three: driver, gunner and commander - with an integrated sensor, and a four-missile load out mounted on a bespoke launcher which has been "specifically designed and engineered to enable release of the missile while the platform is one the move." Aselsan has completed development and qualification of a new 35 mm air burst munition (ABM) called the Atom. 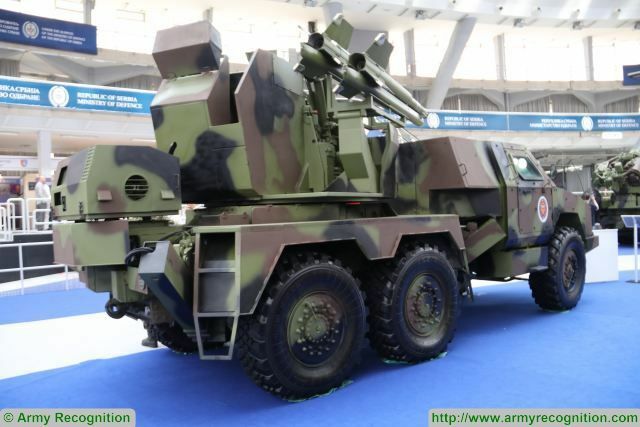 Atom has been designed to be fired from the Aselsan Korkut twin 35 mm self-propelled anti-aircraft gun (SPAAG) for which the first production contract was announced earlier this year for the Turkish Land Forces Command (TLFC). Korkut, which has a linkless ammunition feed, consists of the FNSS Savunma Sistemleri Armoured Combat Vehicle 30 (ACV-30) tracked platform, which is fitted with a remote turret armed with a twin 35 mm (90 calibre) cannon developed by Aselsan. The 35 x 228 mm ammunition weighs 1,750 g, is 387 mm long, and is fitted with a time-programmable base fuze with an electronic self-destruct function. The US Army hopes to add a laser to its next-generation air defence system known as the Indirect Fire Protection Capability (IFPC). Accordingly, US Army Space and Missile Defense Command/Army Forces Strategic Command (USASMDC/ARSTRAT) has evolved the High Energy Laser Tactical Vehicle Demonstrator (HEL TVD) as 'a pre-prototype system' that could potentially address objective requirements for the IFPC Increment 2 - Intercept Block I (IFPC Inc 2-I), an official from the command told Jane's on 18 May at the Pentagon. The IFPC system overall is meant to address incoming rocket, artillery, and mortar (RAM) and unmanned aerial system (UAS) threats at fixed or semi-fixed locations. 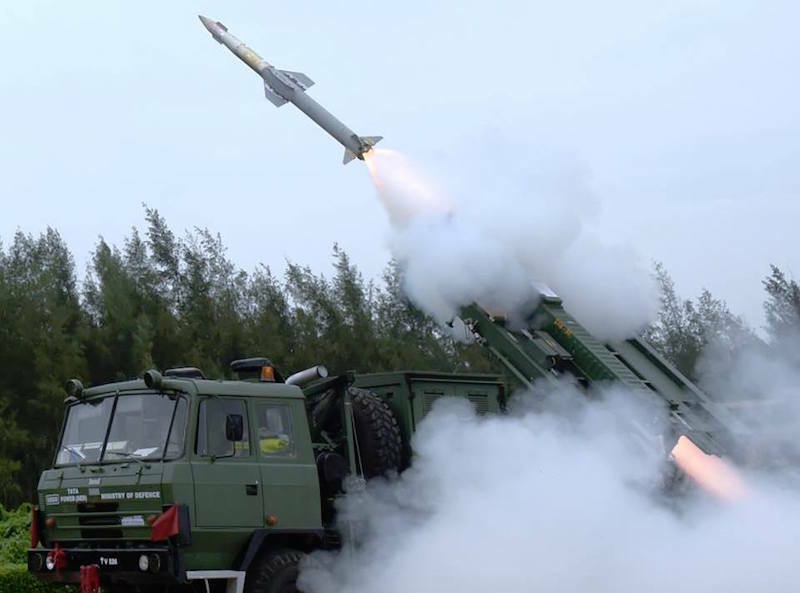 India's state-owned Defence Research and Development Organisation (DRDO) tested the indigenously designed quick-reaction surface-to-air missile (QRSAM) system on 4 June from the Integrated Test Range (ITR) in Chandipur on the country's east coast. 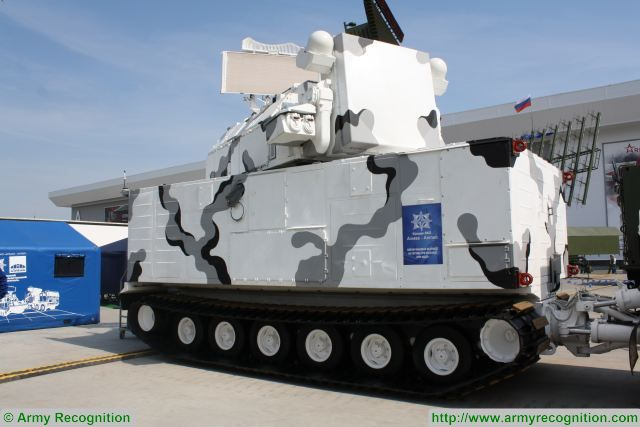 Official sources said that the system, which is being developed for the Indian Army (IA) in tandem with public sector companies Bharat Dynamics Limited and Bharat Electronics Limited, successfully engaged an aerial target during the developmental trials. They said the missile fired by the QRSAM system, which uses a solid-fuel propellant and has a stated strike range of 25-30 km, was launched from a truck-mounted canister. The range to which the missile was tested was unclear, however, as the DRDO spokesman declined to comment on the test-firing. The PASARS has a crew of four with driver and commander in the crew cab. The weapon station accommodates two operators to control the cannon and the launch of the missiles. The turret has a traverse of 360Â° with elevation from -3Â° to 90Â°. The Defence Research and Development Organisation (DRDO)-developed Quick Reaction Surface to Air Missile (QRSAM) was successfully flight tested from ITR Chandipur, off the Odisha Coast at 11.30 AM today. All the technologies and subsystems incorporated in the missile have performed well, meeting all the mission requirements. All the radars, electro optical systems, telemetry systems and other stations have tracked the missile and monitored all the parameters. The missile test met all the objectives. 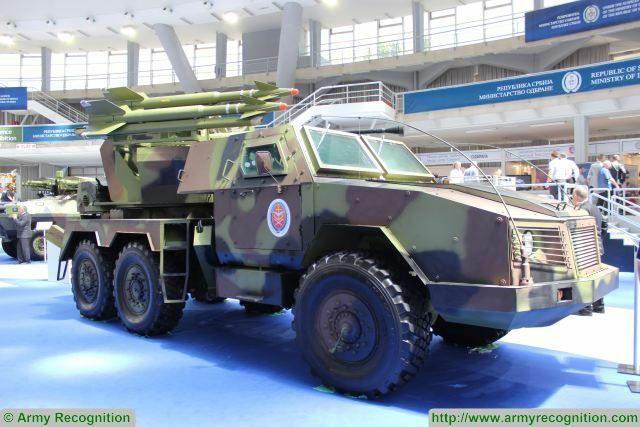 Serbia's Military Technical Institute (MTI) has unveiled a self-propelled (SP) hybrid air-defence system that has been designated Pasars. The platform has been under development since 2016, and consists of a locally developed FAP 2026 (6x6) all-terrain chassis fitted with an armour-protected engine compartment and a fully enclosed and protected two-door crew compartment. The base vehicle features power steering, and all six wheels are provided with a central tyre inflation system, which enables the driver to adjust the tyre pressure to suit the ground being traversed. To the immediate rear of the cab is a flatbed on which has been fitted the upper section of a Bofors 40 mm L/70 towed anti-aircraft gun. The 40 mm L/70 weapon system has unlimited traverse through 360Â° at a maximum rate of 85Â°/sec, while elevation is from -4 to 90Â° at a maximum rate of 45Â°/sec. The 40 mm L/70 gun has a maximum effective range of 4,000 m and a cyclic rate of fire up to 300 rds/min. This version of the gun is already fitted with a laser rangefinder and day/night sighting system on the left side. Ammunition is fed in clips from the top, with the empty cartridge cases being ejected forwards of the mount. An auxiliary power unit (APU) is mounted at the rear of the platform, which powers the weapon mount when the main engine is switched off. To provide a more stable firing platform four hydraulically operated stabilisers are lowered to the ground, with this function being carried out by the commander seated in the protected cab to the right of the driver. Video footage released by MTI shows the Pasars operating in the ground-to-ground role: this would always be a secondary mission, but could be highly effective. First Turkey decided for the chinese HonqQi HQ-9 and NATO was furious. Now Turkey decided for the russian S-400 and the silence by NATO is deafening. RUKLA, Lithuania --- Around 6,000 servicemen and -women from nine different NATO nations, including around 1,300 from the enhanced Forward Presence battlegroup, have spent almost two weeks training with armoured vehicles and heavy equipment. Ozelot air-defence missile platforms fire Stinger surface-to-air missiles at enemy aircraft identified by [surveillance radars. While the troops practise high-intensity combat, air-defence units from the air force protect the army soldiers from enemy attack from the air. For the purposes of these manoeuvres, it is assumed that the fictional enemy has already destroyed a good deal of infrastructure in the course of the Iron Wolf exercise. Most bridges have been booby-trapped or otherwise rendered impassable. As intended, the German-led eFP battlegroup avoids them. The plan is to obstruct the enemy forces from certain defensive positions and destroy them in a localised counterattack. At this crucial stage of the mission, the soldiers are sitting ducks for enemy air strikes. Cover is therefore provided by 3 Squadron, 61 Surface-to-Air Missile Group from Todendorf in Schleswig-Holstein. From their small, tracked vehicles â€“ their Ozelot platforms â€“ Squadron Leader Milo D.â€™s men can spot and identify enemy aircraft at distances of up to 20 kilometres. But thereâ€™s no time to have a breather while the vehicles get under way. Full concentration is required, particularly from Squadron Leader D.â€™s soldiers. â€œIn this scenario, we are expecting an enemy air strike from the north-west,â€� he announces. The air space is monitored from the reconnaissance, command and fire control vehicle. 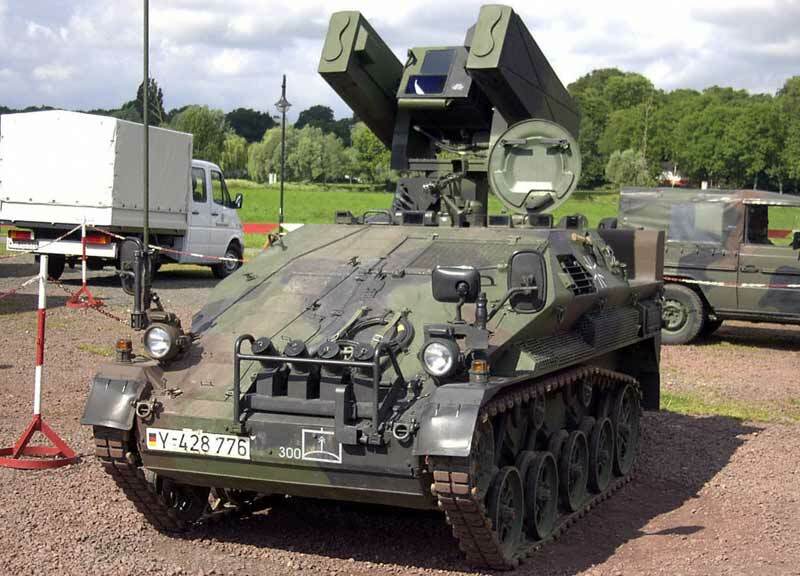 The light air-defence system consists of the Ozelot missile platform in combination with the two Wiesel delivery vehicles. These armoured vehicles are operated by two soldiers each. Each of the delivery vehicles has a multiple launching system at the back equipped with two Stinger guided missiles on either side. Junior Technician Marcel M. drives one of the delivery vehicles. The 21â€‘year-old is his commanderâ€™s right-hand man. During the waterway crossing operation, he is deployed as a MANPADS operator, firing shoulder-launched missiles. â€œYou have to stay completely focused at all times. In the worst case, a moment of inattention on my part could put my comradesâ€™ lives at risk,â€� the junior technician says. The Ozelot system is considered one of the most up-to-date short-range air-defence systems available. During Iron Wolf, it is providing all the ground forces with comprehensive air defence. The purpose of the light air-defence system includes protecting ground troops, airbases, communications facilities and port infrastructure from airstrikes. It is chiefly directed against attacks from low-flying aircraft, helicopters and unmanned airborne targets. Its weaponry consists of four Stinger man-portable air-defence systems (MANPADS) combined in a removable multi-launcher system. Four Stinger missiles are carried at the rear of the Ozelot platform for reloading. The multi-launcher system also includes a sensor block with a high-luminosity video camera, a thermal imaging system and a laser rangefinder. The Ozelot system is deployed in combination with a reconnaissance, command and fire control vehicle, which provides it with targeting instructions, using a 3â€‘D radar system to independently monitor the airspace in a radius of up to 20 kilometres. Supplementary reconnaissance data from other sensors can also be integrated into the air situation display via radio data transmission. One reconnaissance, command and control vehicle has the capacity to coordinate the firing of up to eight Ozelots. For situations when it is deployed independently of such a control vehicle, the Ozelot has a passive infrared sensor with which to identify airborne targets. Rheinmetall Air Defence has released details of its latest Oerlikon GDF-009 twin 35 mm towed anti-aircraft gun (AAG). The GDF-009 model is based on a four-wheeled carriage, and is raised off the ground by three stabilisers when deployed in the firing position. It also features an automatic levelling system that can compensate for a maximum tilt angle of up to 7Â°. Mounted on the forward part of the carriage is the integrated battery, which functions as the gun's power supply unit and can be recharged from an external source if required. Earlier GDF models relied on an external power source, or a diesel or petrol-powered power supply unit. Target information is fed to the weapon by an associated fire-control unit (FCU) such as the Oerlikon Skyguard, with a Skyguard FCU typically managing two GDF-009 AAGs. The Oerlikon Skyguard 3 is the latest build currently offered by the company; however, earlier Skyguard 1 and 2 FCUs can also be updated to this standard. The GDF-series AAGs are armed with two 35 mm Oerlikon KDC dual-feed cannons, which have a cyclic rate of fire of up to 550 rds/min per cannon. The cannons normally fire in bursts, and have an effective range of 4,000 m in the air defence role. The guns fire 35 x 228 mm ammunition with a total of 280 rounds on the weapon, of which 112 rounds â€“ 56 rounds for each cannon â€“ are ready-use. The 35 mm ammunition is manufactured by Rheinmetall Weapons and Munitions (RWM) Schweiz, based in Zurich. The standard natures of 35 x 228 mm ammunition are the PMD402 high-explosive incendiary (HEI), PMD-040 high-explosive incendiary-tracer (HEI-T), and their associated training natures, which have a typical muzzle velocity of 1,175 m/s. Rheinmetall has recently booked two important air defence orders, winning a new customer country in the process. Two foreign governments have ordered air defence hardware and related services for their air forces. Total value of the two orders comes to around â‚¬220 million. In both cases, Rheinmetall had to overcome stiff international competition. The orders were booked in June this year. Delivery will take place through to 2021. The new customer country has ordered two Skyguard 3 air defence systems. This is a third-generation system optimized for protecting critical facilities and infrastructure from current and future threats at very short ranges. Each system consists of a Skyguard 3 fire control unit as well as two 35mm Oerlikon Twin Gun GDF009 automatic cannons. The same country is expected to place additional orders in the medium term. Another nation â€“ already a longstanding customer â€“ has now opted to add 35mm Skyguard 1 fire units to its inventory. The order also encompasses 35mm ammunition, simulators, related test equipment as well as training on location. Here too, follow-on orders are expected to come within the next five years. Rheinmetall is one of the world's foremost makers of sophisticated air defence systems for short-range applications. The company is the market leader in gun-based air defence, and the sole single source supplier of fire control technology, guns, integrated guided missile launchers and special Ahead airburst ammunition. The Group's tried-and-tested 35mm Skyshield technology sets the unsurpassed global standard, particularly when it comes to protecting sensitive civilian sites and critical infrastructure from terrorist threats. As many as a third of the home-made Akash surface-to-air missiles are unreliable, unusable and untested, posing an operational risk during hostilities, the country's national auditor said in a damning report. This revelation comes at a time when a stand-off between Indian and Chinese troops continues along the border in Sikkim sector. Akash, to be positioned in the vulnerable Siliguri corridor (also referred to as the Chicken's neck), was India's counter to any strike by Chinese Air Force fighters. But the CAG report puts a big question mark on its utility and also on the Make in India initiative that seeks to trim the country's dependence on imported arms. 6) The missiles were bought at a high cost but would stay usable for a less period than their stipulated life. 7) Delay in civil works at the sites pushed the installation of the missile systems behind schedule. The report is a body blow to the missile system and comes after the Army earlier this year showed interest in going for the Israeli quick-reaction surface-to-air missiles (QR-SAMs) to take on enemy fighters, helicopters and drones instead of Akash. Defence ministry sources said the Army has made it clear that it does not want any more Akash regiments after it gets the first two ordered earlier for Rs 14,180 crore, with six firing batteries and hundreds of missiles each. According to a Times of India report, the Army holds Akash area defence missile systems do not meet its operational requirements for defending its strike corps against enemy air attacks in forward areas. Stryker vehicle armed with anti-aircraft missiles. ARLINGTON: Need to shoot down Daesh drones or Russian gunships? Boeing is offering the Army an array of ways to do it, from laser-armed 8Ã—8 Strykers to missile-launching MATV trucks and tracked Bradleys. This September, the Army plans a â€œshoot offâ€� of competing anti-aircraft systems as it tries to rebuild battlefield air defenses it largely disbanded since 9/11. Boeingâ€™s not the only contender, but itâ€™s been the most aggressive in showing its wares. A new anti-aircraft Stryker will debut at next weekâ€™s Space & Missile Defense Symposium in Huntsville, Ala., but thatâ€™s just one of several designs theyâ€™re prototyping. The aerospace giant has worked with makers of military vehicles â€“ Oshkosh for the MATV, General Dynamics for Stryker, BAE for Bradley â€” to integrate its weapons systems on their war machines in ways that give the Army multiple options. What the Army wants is Maneuver SHORAD: Short-Range Air Defense systems that can keep up with frontline combat units and survive in combat, unlike Patriot and THAAD batteries, which have longer range but are heavier and are not armored. It particularly wants Maneuver SHORAD it can afford, so installing existing weapons on existing vehicles is a lot more attractive than developing silver bullets from scratch. And, finally, the Army would love vehicles that can both carry SHORAD systems and still fulfill other roles, like troop transport. 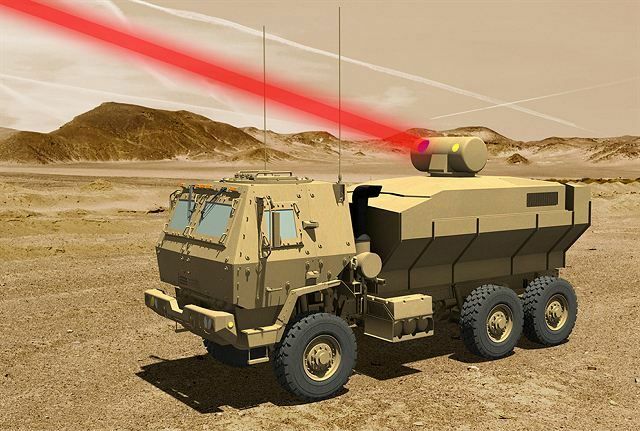 Happily for the Army, Boeing and other companies have made laser weapons much more compact. You still need a dedicated vehicle for a 50- to 300-kilowatt weapon suitable for downing helicopters, airplanes, or (at the high end) cruise missiles, but 2- to 5-kW weapons with proven drone-killing capability can fit in existing combat vehicles. The 2 kW laser Stryker that starred in a recent Army exercise has room for several infantryman in back, but thatâ€™s a test configuration not optimized to be compact, Leary said: A properly integrated production model could fit a full nine-man squad, same as a regular Stryker. The whole system â€“ laser, beam director, power and cooling â€“ is so compact you could install it on a wide range of vehicles without crowding out their other missions, Boeing executive Jim Leary told reporters this morning. Most of the time, these laser-accessorized vehicles would just go about their normal roles. But whenever an enemy tried to spy on US units with the kind of low-cost, low-altitude drones that are proliferating rapidly worldwide, thereâ€™d be someone around who could laser them out of the sky. That would stop Daesh-style drone attacks in low-tech wars and make it harder for a high-end enemy like Russia to spot targets for airstrikes and artillery. Army laser-armed Stryker at Fort Sill. Actually shooting down incoming artillery rockets, helicopter gunships, and strike aircraft, however, would require more powerful weapons. For now, that means missiles â€“ although work is progressing rapidly on lasers. The Armyâ€™s current air defense vehicle is the Avenger, basically an unarmored Humvee with Stinger missiles mounted in pods, but that vehicle isnâ€™t tough enough and that missile isnâ€™t potent enough for a war with, say, Russia. So Boeing, which built the original Avenger, is repurposing its turret and fire control to fire other missiles from other vehicles. As weâ€™ve reported, the upgraded system can fire variants of both the Hellfire â€“ made famous by Predator strikes â€“ and the AIM-9X â€“ used on jet fighters. What we havenâ€™t reported in detail before is how it fits on different vehicles. There are tradeoffs. Bradley vehicle with anti-aircraft missiles. Boeing has worked with Oshkosh to install the upgraded Avenger turret on an MATV armored truck â€“ the older brother of the new JLTV â€“ and with General Dynamics to install it on a Stryker. In each case, Leary said, the missiles take up the whole back of the vehicle, replacing the passenger compartment. These would be dedicated anti-aircraft vehicles. The M2 Bradley is a little different. There the anti-aircraft missiles would replace the TOW anti-tank missiles carried on the side of the turret (and use the same room for reloads), similar to the old M6 Linebacker. The fire control systems would be integrated into those already on the Bradley, Leary said. The anti-aircraft Bradley would retain its 25 mm chaingun, its machineguns, and its capacity to carry infantry, so it could still do all its regular missions except for killing tanks and busting bunkers. Leary didnâ€™t say this, but it strikes me the Army today has far more ways to kill tanks than to kill aircraft. Converting one Bradley in every four-vehicle platoon would trade a tolerable 25 percent decrease in anti-tank missiles for a new and much needed capacity for air defense â€“ without affecting the number of infantry or scouts. Stryker units and light infantry would still need to spring for dedicated air defense vehicles, but the heavy brigades crucial to any major war would not. US armor bristling with air defense might just make the Kremlin reconsider in a crisis. HUNTSVILLE, Ala. â€” Boeing and General Dynamics Land Systems have teamed up to build a short-range air defense system on a Stryker combat vehicle and plan to demonstrate the capability at a SHORAD shoot-off hosted by the Army next month. The team brought its Manuever SHORAD Launcher (MSL) Stryker to the Space and Missile Defense Symposium on August 8 before it heads to White Sands Missile Range, New Mexico, where the Army will host the shoot-out designed to inform the serviceâ€™s way ahead for an interim SHORAD solution. With none of the maneuver formations having a SHORAD capability, GDLS leaned forward and invested its own money to configure Strykers to be able to integrate a SHORAD capability â€œand that capability that the Army wanted to integrate was an Avenger,â€� Kendall Linson, a business development manager at GDLS, told Defense News. The Army has requirements out there for SHORAD solutions, but it â€œdoesnâ€™t have to fall on one platform to provide that capability,â€� he noted. â€œThis is ready,â€� Leary added. â€œWith a little creativity, you could put this on the back of a regular Stryker in a different formation on a different turret or how do we put this on the existing turret,â€� Leary said. HUNTSVILLE, ALA.: If you fly Russian MiG fighters, Sukhoi attack jets, or Hind helicopters, your life just got a little harder â€” and in the event of war, potentially much shorter. At the Space & Missile Defense conference here, General Dynamics rolled out the latest variant of their eight-wheel-drive Stryker armored vehicle, with the troop compartment thatâ€™s normally in the back replaced with a Boeing-built anti-aircraft turret. Scroll down for our photos of the vehicle, dubbed the Maneuver SHORAD (Short-Range Air Defense) Launcher, or MSL Stryker. - AI-3s, a ground-launched version of the AIM-9 missiles used by US fighters, with significantly better range and maximum altitude than the old Stinger. - Longbow Hellfires, originally an anti-tank missile, made famous -the favored weapon of the Predator drone, and suitable for both ground targets and low-flying aircraft like helicopter gunships. - and even low-powered lasers capable of burning out quadcopters and other small drones. The vehicle on display at Huntsvilleâ€™s Werner von Braun Center mounts Hellfires on one side and AI-3s on the other, as well as a specialized electro-optical sensor on top. But the GD Stryker is just one of a family of anti-aircraft vehicles that Boeing is developing with various partners, as heavy as BAEâ€™s tracked Bradleys and as light as Oshkoshâ€™s Joint Light Tactical Vehicles. A JLTV with anti-aircraft missiles and a machinegun will debut at the enormous Association of the US Army annual conference in Washington, DC this October. The MSL Strykerâ€™s turret, with two AI-3s (modified AIM-9s) on one side, four Hellfires on the other, and a sensor on top. The mission for all these vehicles: highly mobile air defense that can keep pace with frontline units and survive in combat zonesâ€“ what the Army calls Maneuver SHORAD. Thereâ€™s been no successful airstrike on US Army forces since 1953, when a North Korean biplane flying low and slow slipped through US defenses, Since 1991, the Army has focused on missile defense and disbanded anti-aircraft units, assuming Air Force, Navy, and Marine Corps pilots will rule the air and keep enemy aircraft off their backs. But we canâ€™t carry out any kind of operations if our forces are bombed and strafed every time they try to move, like the German reinforcements struggling to reach the D-Day beaches in 1944. Thatâ€™s what Maneuver SHORAD â€” and the new Stryker vehicle â€” are all about. If friendly fighters canâ€™t keep enemy aircraft at bay, the ground troops will shoot them down themselves. Rear view of the MSL Stryker. Side view of the MSL Stryker. 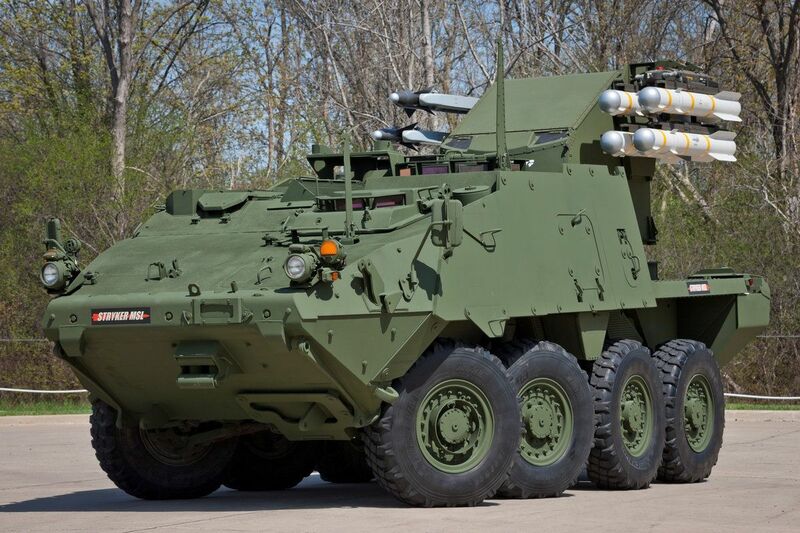 HUNTSVILLE, ALA.: The Army keeps putting more powerful lasers on smaller vehicles. Battlefield lasers in testing today can shoot down snooping quadcopters and other small drones. By the early 2020s, however vehicles mobile enough to keep up with combat brigades â€“ Strykers and FMTV trucks â€“ will have power in the 50 to 100 kilowatt range. Thatâ€™s enough not only to kill drones in less time and at longer ranges than today, but also to stop incoming rockets, artillery shells, and mortar rounds. Army lasers are advancing on two fronts, said Adam Aberle, who heads high energy laser development and demonstration at the Space & Missile Defense Command. Lower-powered lasers go on eight-wheel drive armored vehicles called Strykers. Higher-powered ones go on converted cargo trucks, which have no armor and worse off-road performance than Strykers, but a lot more room. In 2021, the service will test a 50 kilowatt weapon, the Multi-Mission High Energy Laser, on a Stryker. Thatâ€™s five times the power of the 10 kW laser being installed on a Stryker for testing this November â€“ which is itself double the 5 kW laser tested on a Stryker this March and five times the 2 kW tested last year. All these lasers are compact enough that the Strykers can still carry gear and troops for other battlefield tasks (hence â€œmulti-missionâ€�), a big plus for combat units. 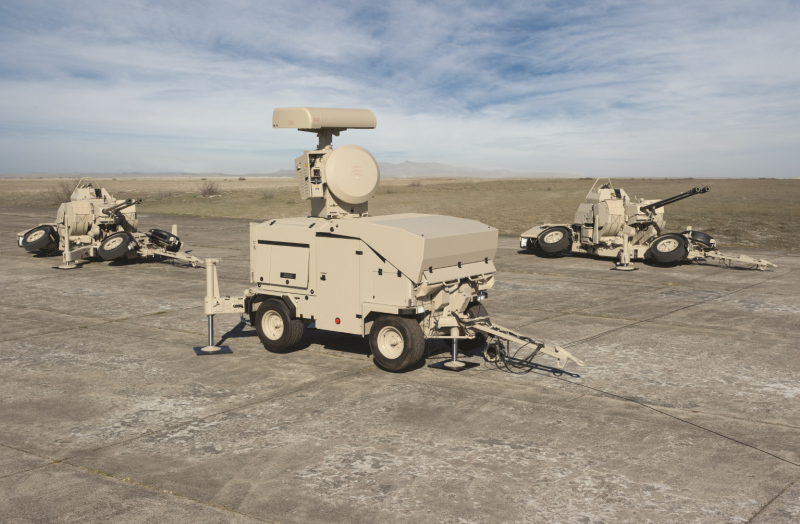 The 50 kW laser is a potential candidate for the Armyâ€™s Maneuver Short-Range Air Defense (MSHORAD), effort, which needs vehicles that can move and fight alongside frontline forces. The Army is putting heavier lasers on cargo trucks. Eventually, such vehicles might be part of the Indirect Fire Protection Capability (IFPC), a truck-mounted system designed to set up behind the front line and defend large areas against incoming fire. In 2022, the Army will test a 100 kW laser on a truck, the High-Energy Laser Tactical Vehicle, based on three-axle, 10-ton FMTV. The FMTV is an unarmored support vehicle, but itâ€™s much smaller and nimbler than the current laser truck, a four-axle, 20-ton HEMTT now being fitted for a 50-kW laser. (IFPC uses the FMTV truck as well). For comparison, the original HEMTT-mounted laser installed in 2012 was just 10 kW. Thatâ€™s same firepower that fits on the much smaller Stryker today. The power-to-weight ratio is ramping up radically. Power matters because every time you double a laserâ€™s output in kilowatts, you halve the time it takes to burn through a specific target at a specific distance, letting you quickly wipe out waves of incoming threats. Or you can double the power, keep the target and time to kill the same, but shoot it down 40 percent farther away. Or you can keep the time and distance the same, but burn through harder targets. Itâ€™s not all about power, however, Aberle emphasized in a roundtable with reporters at the Space & Missile Defense Symposium here. The 100 kW laser on a truck will take a year longer than the 50 kW laser on a Stryker, he said, in large part because its beam control system is more ambitious. A quadcopter mini-drone downed by an Army laser in a recent test. Beam control is about focusing a laserâ€™s power on the target and on a specific spot on the target: A well-built laser can pinpoint a specific weak point, allowing it to have far greater effects than its power alone might indicate. Engineers also need to optimize beam quality so the laser can penetrate the atmosphere without losing power. All lasers also require sophisticated software and powerful optics, which incidentally make great telescopes for surveillance when the laser isnâ€™t firing. The beam control and quality equations look very different when firing from a ground level in relatively dry air, a naval craft in humid sea air, or an aircraft surrounded by turbulence in the thin upper atmosphere. That is part of the reason the services all have their own programs, though they compare notes all the time, said Aberle. In the near term, all the services are looking at relatively low-powered defensive laser. Aircraft already use lasers to confuse the sensors of incoming surface to air missiles, while the Navyâ€™s 30 kW laser tested in the Persian Gulf was designed to deal with drones and approaching Iranian attack boats. The near-term lasers in development can burn down dangerous but relatively fragile targets ranging from ISIL drones, to Taliban mortar rounds, to Syrian barrel bombs, to Russian artillery rockets. But in the not too distant future, increasing power and precision could take out incoming cruise missiles, helicopter gunships, and strike aircraft. At that point, modern warfare starts to change dramatically. Algeria's acquisition of Buk-M2E surface-to-air missile (SAM) systems has effectively been confirmed by the August issue of the People's National Army's (ANP) El-Djeich magazine. The publication included an article covering the 'Majd 2017' exercise held in July, which was supported by a collage of Algerian military equipment â€“ including a transporter erector launcher and radar (TELAR) vehicle from a Buk-M2 system, seen launching a 9M317-series missile. The story did not mention the SAM system, which was mounted on a Belarusian-made MZKT 6922 6x6 wheeled vehicle instead of the tracked carriers used by most other Buk operators, including Egypt and Syria. Podolsky Plant Samum Sandstorm 4x4 23mm cannons short-range air defense system at Army-2017. Samum 4x4 armoured 23mm short-range air defense system at Army-2017 International Military Technical Forum near Moscow, Russia. 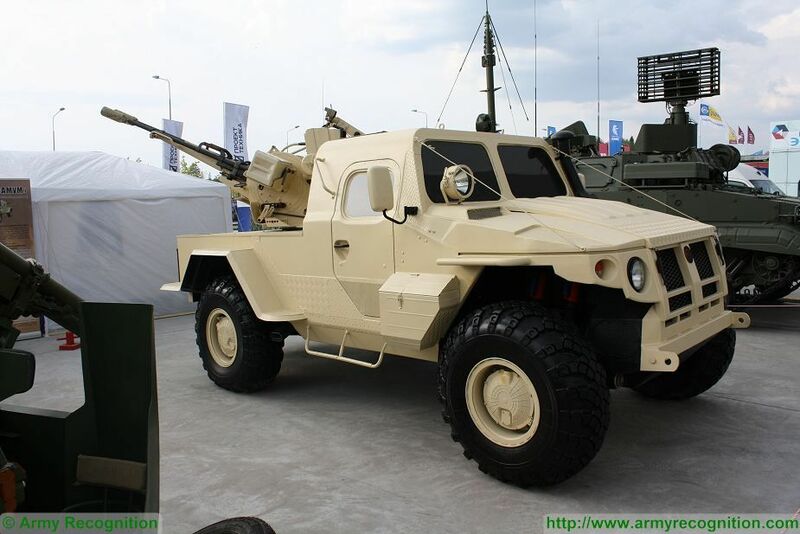 The Samum is based on a new 4x4 tactical vehicle fully designed and developed by the Company Podolsky Electrical and Mechanical Plant Special mechanical engineering with a two man crew cab at the front and a cargo area at the rear with a ZU-23/30M1-4 23mm automatic cannons. The vehicle is protected against firing of small arms and shell splinters. 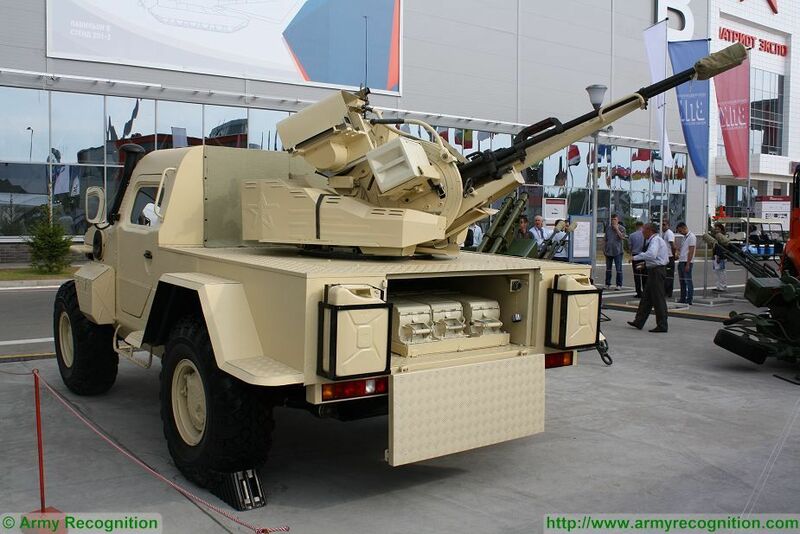 The ZU-23/30M1-4 is armed with a 23 mm twin cannon which is operated by one gunner. The 23 cannons are mounted on a single platform which has a traverse of 360Â° and elevation from -10Â° to +90Â°. The Samum can be used against land targets with a maximum range of 2,500m and 1,500 m against aerial targets. A total of 1,000 ammunitions are carried in the vehicle in a storage box located at the rear of the chassis. The Samum has a crew of three, including driver , commander and gunner. It has a total weight of 6,500 kg. Latvian Ministry of Defence and Danish Ministry of Defence have signed an agreement for purchase of air defence systems, currently held by Danish Armed Forces, by the Latvian side. â€œI am extremely proud and pleased about the acquisition of Stinger air-defence systems, as these missiles will significantly boost our military capability. Moreover, air defence is currently one of our top priorities. In so doing, we are significantly upgrading our strength. Every unit, which will receive these systems, including National Guard, will significantly benefit from this purchase,â€� underlined Defence Minister Raimonds Bergmanis. According to the deal for acquisition of Stinger air-defence systems, Latvia will receive missiles together with launch systems. The planned deal is expected to be completed in the first half of 2018 when systems will arrive in Latvia. In terms of production volumes, Stinger air-defence system is the most popular of its kind. Having excellent combat track record and considered to be one of the most efficient man-portable air-defence systems, it is used by many of Latviaâ€™s allies, such as the USA, the UK, Germany, Italy, the Netherlands, Finland, Norway and Lithuania. Along with purchase of the Stinger air-defence systems, Latvia is also working on acquisition of the necessary, support, maintenance and training equipment. Armed forces of NATO countries and other allies are helping Latvia with experience and personnel training required to operate the systems. "This is an Arctic version (Tor-M2DT) of the SAM system intended for service in the Arctic," Igor Ivanov, Kupolâ€™s director for military-technical cooperation, said. "Its combat assets are mounted on a two-unit cross-country tracked chassis, so that the SAM system can operate in off-road conditions, rugged, snow- and ice-covered terrain. 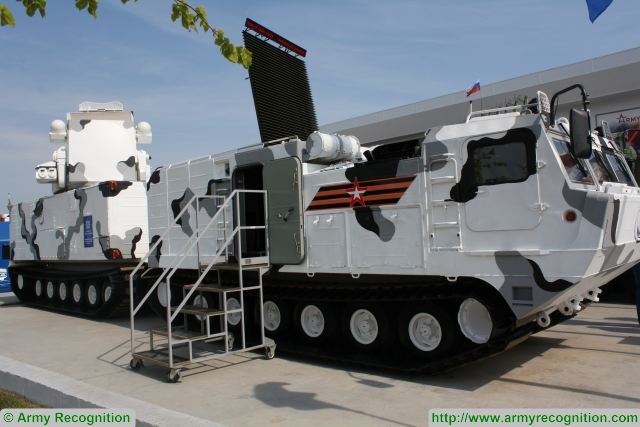 It is mounted on the DT-30PV Vityaz all-terrain two-unit articulated tracked vehicle: the first section carries a crew life support module and the Tor control systems, while the second one accommodates an antenna/launcher. The DT-30PV has the specific ground pressure of just 0.3 kg/cm2, i.e. less than for the man. In other words, the vehicle can easily navigate both deep snow and ice ridges. At the same time, its speed is up to 37 km/h, and the maximum climbing angle is 30 degrees." The capabilities of the all-terrain vehicle as a platform were clearly demonstrated in March 2017 during a 2,400-kilometer run along the route Tiksi-Kotelny Island-Cape Holy Nose-Strait of Laptev-Strait of Sannikov-Tiksi. All the necessary conditions were created for the Arctic Torâ€™s crew to effectively operate the SAM system in the Arctic winter conditions. The SAM systemâ€™s combat assets were also tailored for operation at low temperatures: the SAM system is able to operate at extremely low temperatures (up to minus 60 degrees), in a snowstorm with a wind force exceeding 35 m/s. Kupol has supplied the target amount of modern equipment in recent years. So, the four battalion sets of the Tor-M2U and Tor-M2 SAM systems were shipped to the customer last year. Moreover, the manufacturer managed to radically improve the performance of its products. In particular, short-range weapons gained a capability to fire on the move. During tests, the Tor-M2U engaged targets while moving at 25 km/h, and quite recently, firings were also carried out when the vehicle moved at 45 km/h. In fact, according to experts, the Tors are capable of providing continuous cover for troops on the march and during a maneuver in combat. The modified Tor-M2 systems were fielded in 2016. This system is an advanced version of the Tor-family SAM systems. Compared to the previous version, it features twice the number of missiles having improved operational characteristics. The target kill probability with such ammunition is estimated as close to 100 percent. This made it possible to abandon the practice of simultaneously firing two missiles against one target. "Today, the Tors operate on the "one target - one missile" principle," emphasizes Igor Ivanov. KIELCE, Poland â€” Polandâ€™s potential acquisition of Patriot missiles is valued at nearly U.S. $5 billion, making it the regionâ€™s largest defense acquisition in the pipeline, but Raytheon is making headway with negotiations that could secure other customers for its systems in Eastern Europe. In Lithuania, the government aims to purchase the Norwegian Advanced Surface to Air Missile System, or NASAMS, under a deal worth about â‚¬100 million (U.S. $119 million). The acquisition would allow Vilnius to become the systemâ€™s fifth operator in Europe. Lithuania would also be the first country to obtain the missiles among Eastern European allies. NASAMS was jointly developed by Norwayâ€™s Kongsberg and Raytheon based on the latter companyâ€™s Advanced Medium-Range Air-to-Air Missile. Mike Tronolone, director of international business development for Europe and NATO at Raytheon, told Defense News the Patriot systems and NASAMS are perfectly interoperable, but they constitute separate air defense tiers. Tronolone said that Patriot missiles have been deployed to Europe since 1985, and Raytheon aims to increase the number of their users in cooperation with local industry players. â€œWe have partnerships with PGZ in Poland, Rheinmetall in Germany and many other companies,â€� Tronolone said. Raytheon says it is also negotiating a potential Patriot missile procurement for the Romanian Armed Forces. Last July, the State Department cleared the sale of seven systems to Romania. The potential deal comprises seven Patriot Configuration 3+ units, complete with radars, control stations, antenna, launching stations and power plants, as well as 56 Patriot MIM-104E Guidance Enhanced Missile-TBM missiles and 168 Patriot Advanced Capability-3 Missile Segment Enhancement missiles.